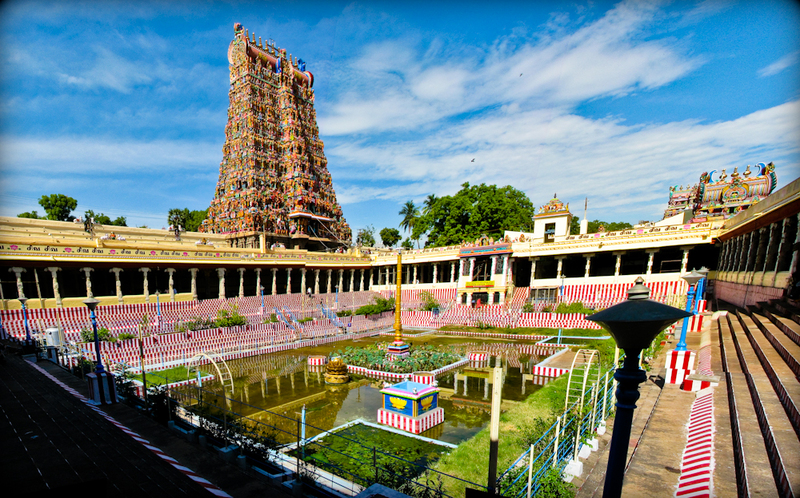 Meenakshi Amman Temple Madurai: Divinity At Its Best! Basically being a historic lover, I have a tremendous liking towards places that are associated with the Indian history. This is the reason I fell in love instantly with the Meenakshi Amman temple Madurai. It was convenient for me to reach the temple as I stayed very close to the temple. There was so much enthusiasm that poured inside me as soon as I entered the temple. Magnificence cannot even be associated with the beauty of this temple. No wonder, this temple was one of the nominees for the Wonders of the World! The huge towers of the temple looked like it was touching the sky. Harmony is what people seek in temples and I am no exception in that. I felt totally relaxed as soon as I entered the temple’s premises. The aromatic jasmine flowers, fruits and other pooja items were available in every shop. I bought some flowers to offer to the gods and the goddess Meenakshi. The temple’s structure was painted here and there from floor to the ceilings. The mix of yellow, orange and scarlet reflected like blazing sun and the whole place was shining like a golden temple. Everyone had to wait in long line to get the blessings of the goddess. So I did the same and it took me few hours to get to the goddess idol. There were special tickets available, but I did not want to pay a fee to get the blessings of beautiful goddess inside. The place was roaring with spiritual activities and my mind was completely occupied in divine thoughts. I was wondering how these complex structures were constructed. In those days, technology were not so much thriving and like the huge machines available in the construction sites, in those days how the kings managed to build these huge temples! Well, this question always stays in my heart unanswered. Even after days visiting this temple, the blazing jewels worn by the goddess and the crowd shouting the names of the gods and the spiritual vibrancy of the temple stayed in my memories afresh. 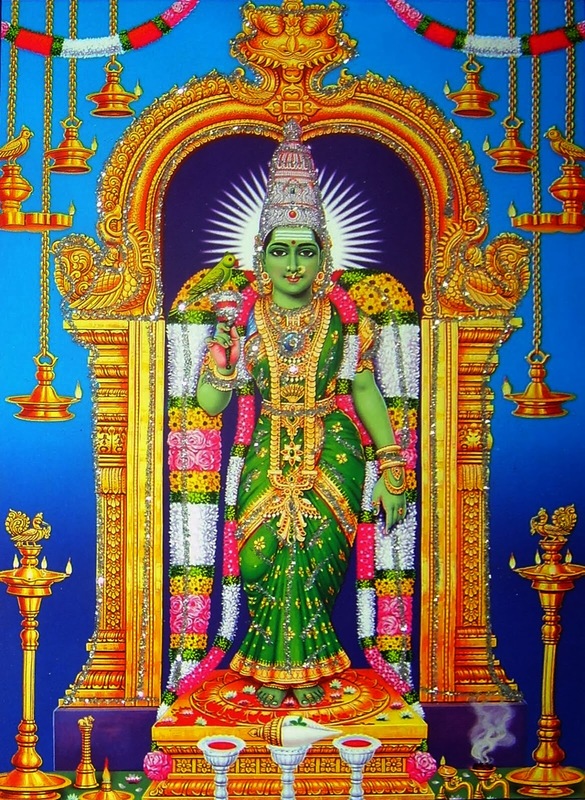 If I write a book about Madurai, then it’s starting and ending would be the words of glory about this temple! This entry was posted in Attraction, Festival, Temple. Bookmark the permalink.